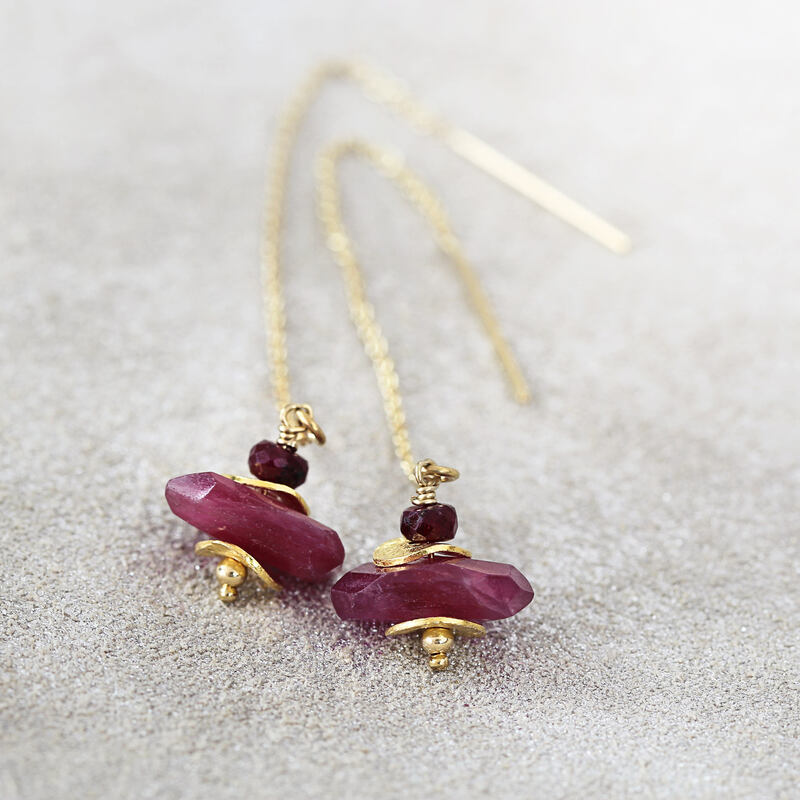 Featuring a deep Ruby gem sat atop a softly glowing Ruby nugget, with golden glints and accents in-between. 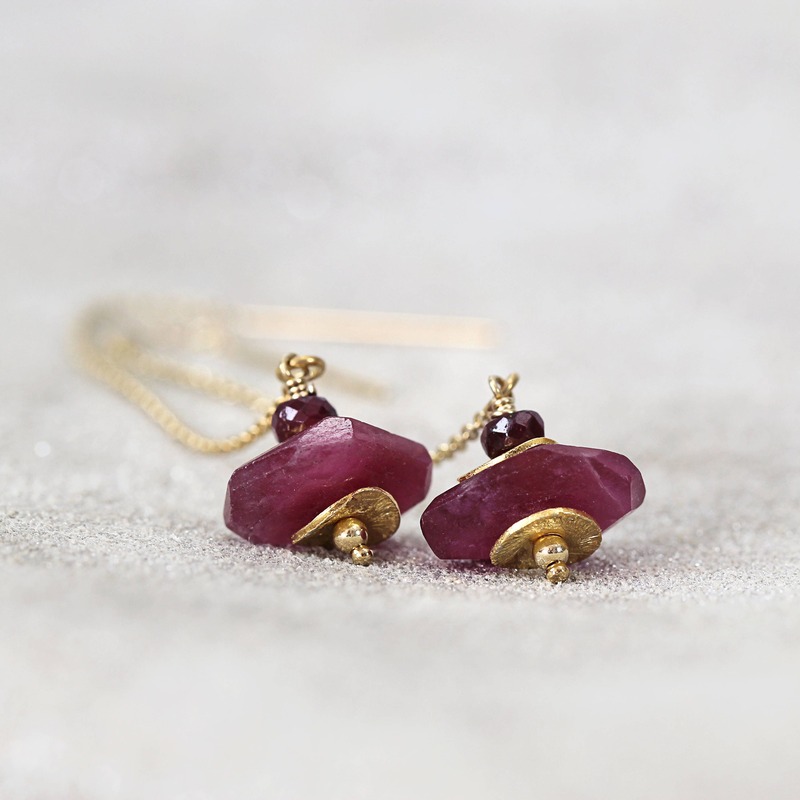 Hung from elegant 14k gold filled threader chains. You can adjust the hanging length to suit - wear them shorter for work perhaps, and then longer for an evening out. Perfect for parties, get-together's, special occasions and holidays. 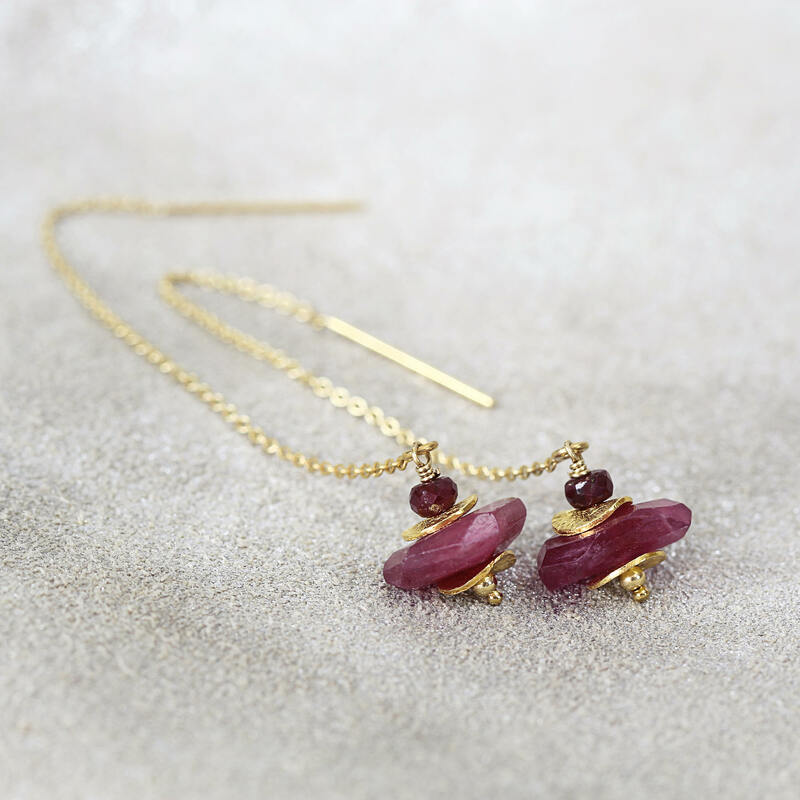 These elegant statement earrings make a thoughtful gift for a loved one - for mum, sister, friend, wife or girlfriend - for any occasion such as a birthday, a graduation, an anniversary, Valentine's or Christmas gift, or just for someone who would benefit from the special qualities that this beautiful stone offers. PLEASE NOTE - the Ruby nuggets are available in 2 different shades - deeper red as in the images, or, a just slightly lighter pinky-red (these are also slightly larger nuggets). Also available in sterling silver, with a matching necklace. 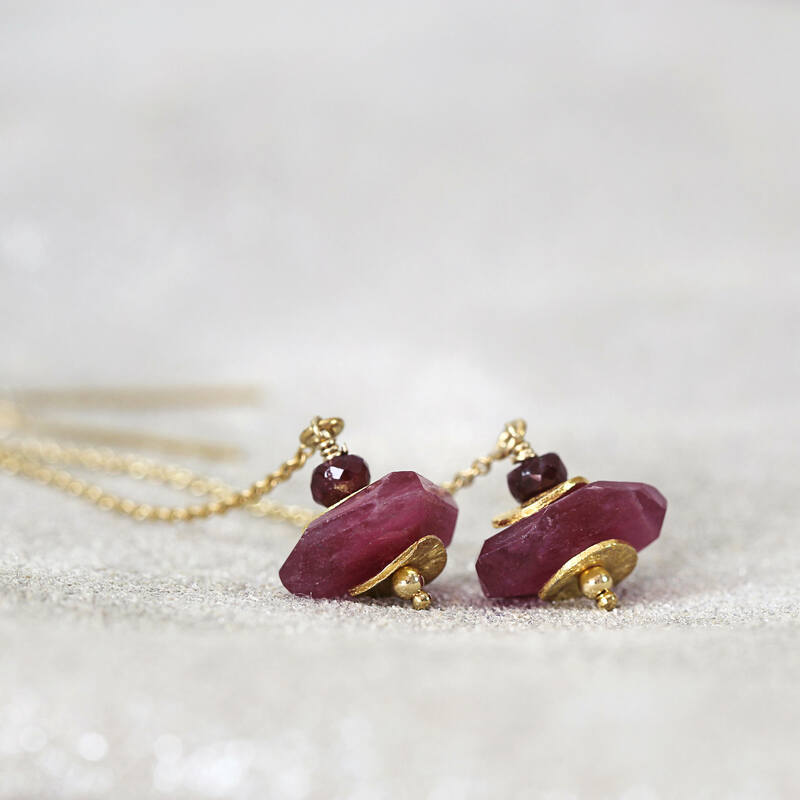 * Length is adjustable and can be worn between approx 2 and 8 cm. 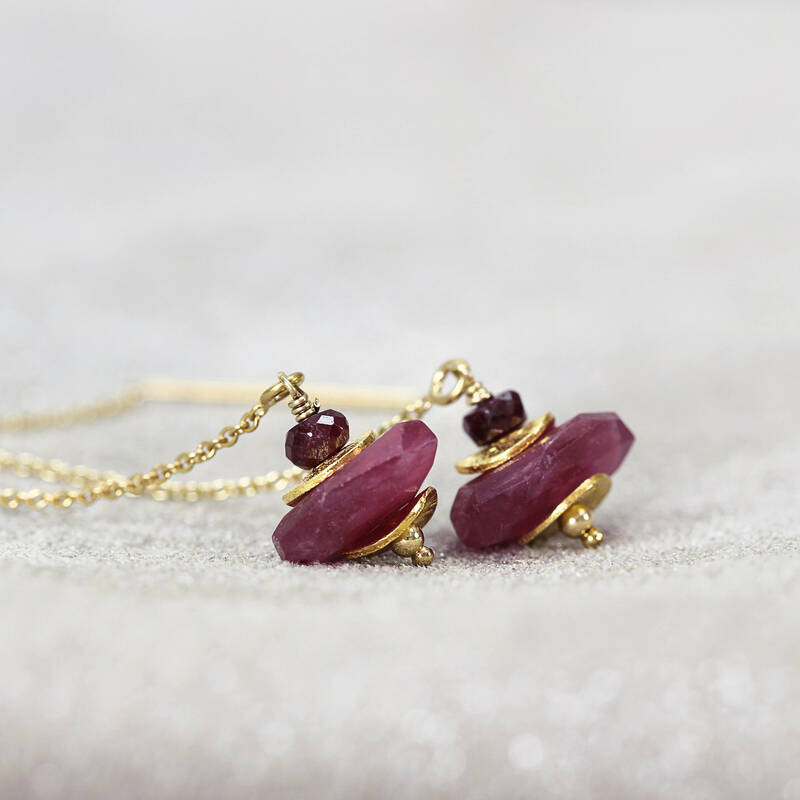 * Ruby nuggets available in 2 different shades - deeper red as in the images, or, a just slightly lighter pinky-red (these are also slightly larger nuggets). * Gold fill ear fittings, also known as 'rolled gold', are the next best quality after pure gold - it's not a plated finish and therefore doesn't rub off.